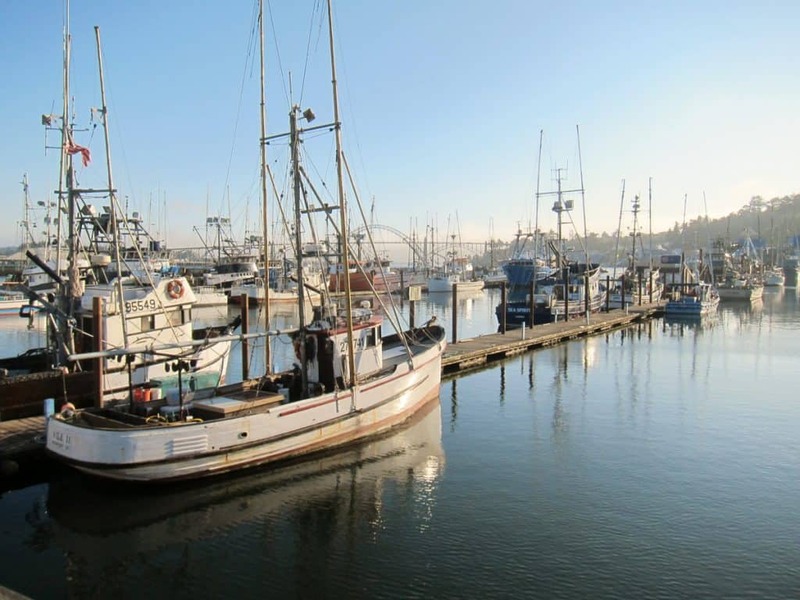 Newport, Oregon, is one of my favorite places to visit along the coast. We’ve been there twice. Spending five days there the first time, and two days on our second visit. 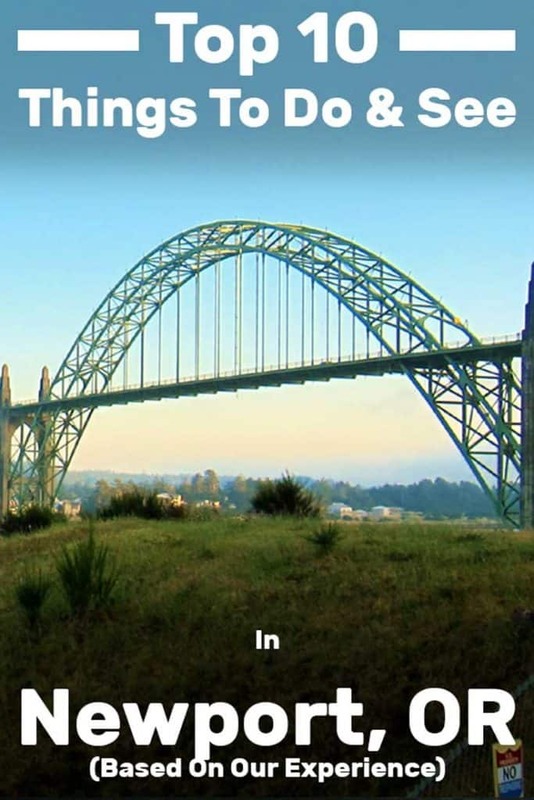 Yes, there is that much to see and do in and around Newport! 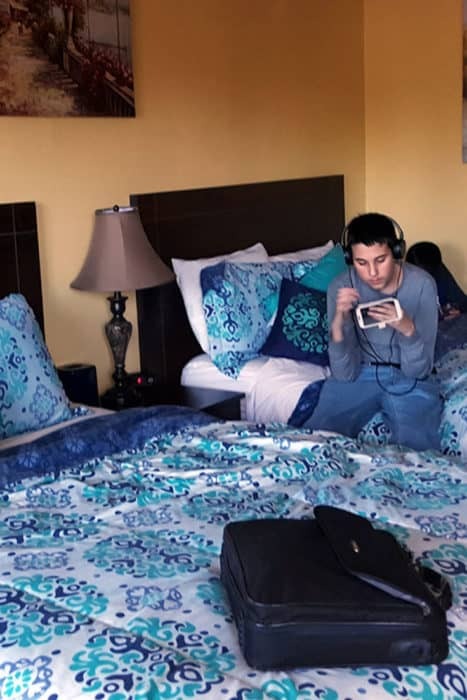 And I want to share our favorites with you in this post! Keep reading for more detailed information on each of these attractions. I have included the cost, hours of operation, and links to the attraction’s websites if applicable. 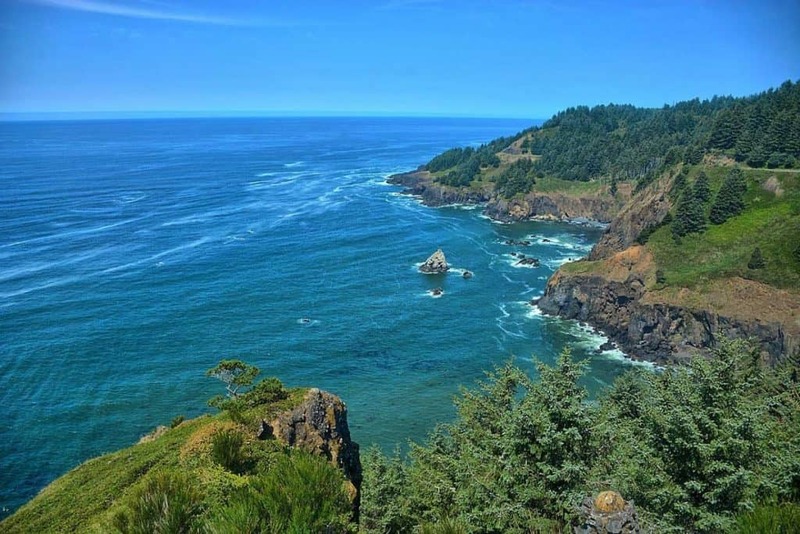 In addition, I have included a couple of suggestions on where to stay while visiting Newport, Oregon. 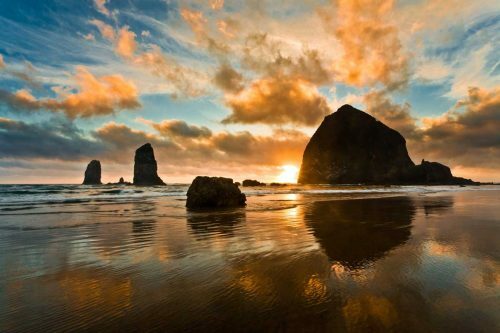 Newport is located in a spot that makes it the perfect stop while taking your tour of the Oregon Coast. With a population of approximately 10,000 people, this is one of the most populated places in the area which means you’ll find all of the services and stores you need. 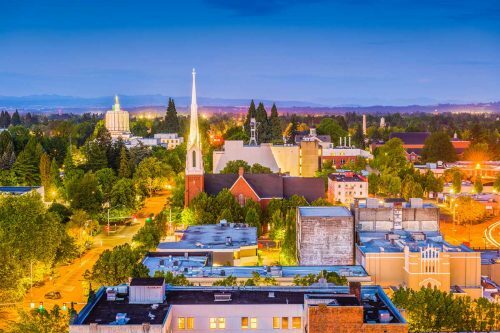 We felt that Newport offers a wonderful mix of providing visitors with numerous “attractions” while still retaining that smalltown atmosphere. 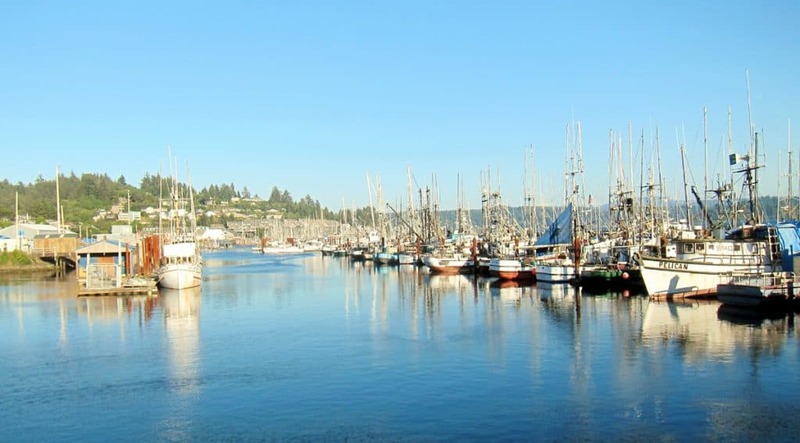 It’s also very distinctively an oceanfront town with a thriving working fishing port. It was really easy to spend a while here, slowing down for a bit to really breathe in the sea air and experience the Oregon Coast in full. 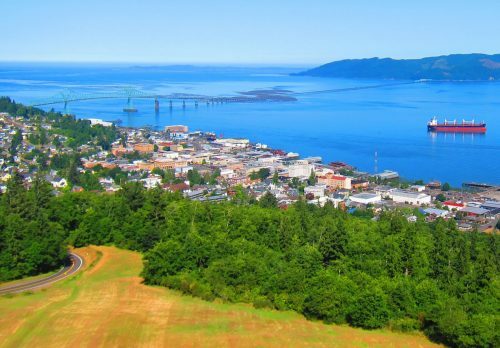 Let’s take a look at some of the best things the town offers visitors. I’ll start by saying that while these include our personal favorites, the list also covers attractions that other visitors recommend as well. I consider these posts as lists for our own personal use when we come back to Newport. And yes, that’s a “when” and not an “if”. This unique basalt headland extends out a mile into the Pacific Ocean. It is also 93 feet high at the westernmost point. These features made it a wonderful spot for the Yaquina Head Lighthouse which began guiding ships back in 1873. Today, it is still an incredible site for visitors to experience! The lighthouse is Oregon’s tallest and is still functioning today. It is now fully automated, but touring the historic structure feels like walking back in time. Between July 1 and September 15 there are daily tours available. The rest of the year tours are less consistent, check their website for more detailed information. There is an interpretive center that gives visitors a chance to check out what living by the sea was like a long time ago. You can check out exhibits on seabirds and marine life, including a recreation of a rocky island and its inhabitants. They even have a wheelhouse from a historic ship and a full-scale replica of the lighthouse lantern. 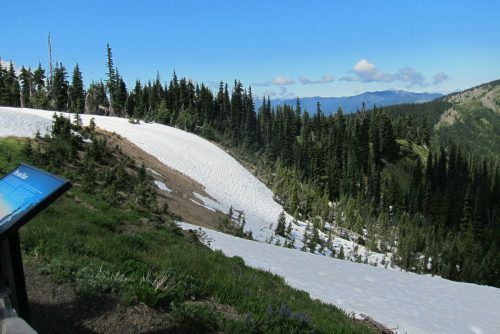 The park grounds are open July 1 through September 15 7 am until sunset. The interpretive center is open from 10 am to 5 pm during this timeframe as well. The rest of the year the gates open at 8 am and still close at sunset and the center is open from 10 am to 5 pm. If you drive to Yaquina Head, the cost to enter is $7 for a passenger vehicle or $3 for a motorcycle. If you bike or walk to the park it is free to enter for the day. 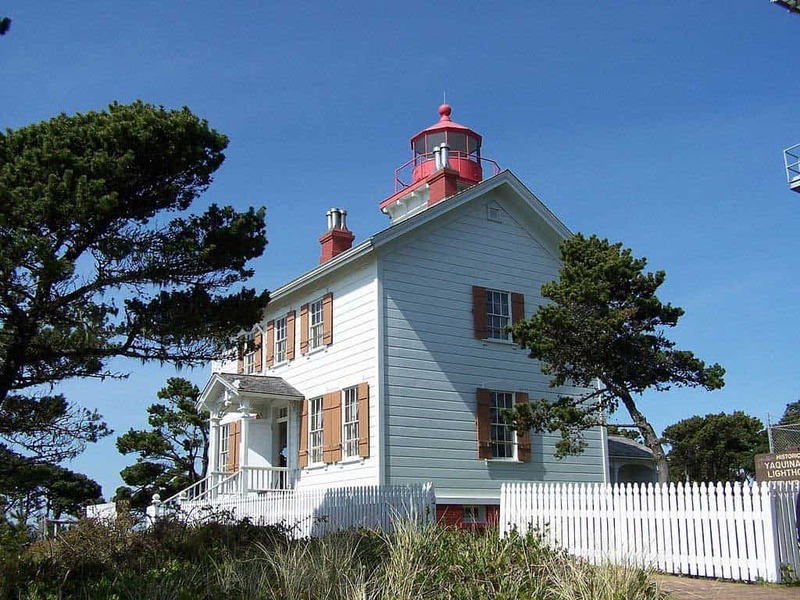 There are many different costs associated with visiting Yaquina Head so check their website for detailed information. This aquarium has it all! From sea otters, harbor seals, and sea lions to an octopus cave and seabird aviary. There are over 15,000 animals on display and they have animal encounters and behind the scenes tours available if you are wanting to get up close and personal with the sea life. They have sea otter, sea lion, and seabird aviary feedings for visitors to view. 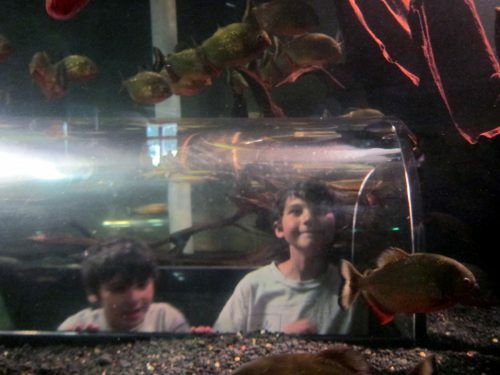 In addition, they have octopus encounters, sea jelly touch encounter, and behind the scenes tours for anyone 8 or older. These encounters require advanced registration and could involve an extra cost. For me personally, this is my favorite aquarium that we’ve visited in the US (and we’ve visited quite a few, including the one in Monterey!) Plan at least a couple of hours to be able to see everything there is to see here. 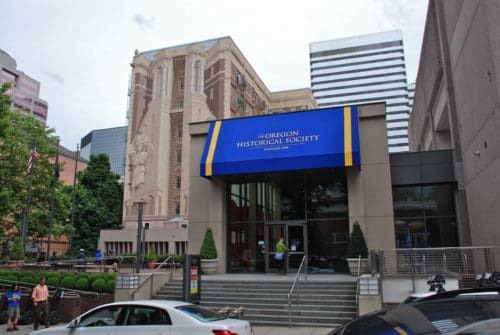 The staff is friendly and knowledgable, so this is a great educational family, especially if you’re with kids. There is an area perfect for picnics if you want to bring in your food, or they have a coffee bar and a café on the premises if you would prefer to buy something there. The café is closed on Mondays and Tuesdays from September 4 through May 24. The aquarium is open 364 days a year, they are only closed on Christmas day, but the hours vary based on the season. There is a detailed listing of the hours available on their website but generally, they open at 10 am and close between 5 and 6 pm. For adults, the admission price is $24.95 while the price for anyone 13 to 17 or 65+ is $19.95. Children 3 to 12 years old are $14.95, and those 2 or younger are free. There are group rates and discounts available on their website. 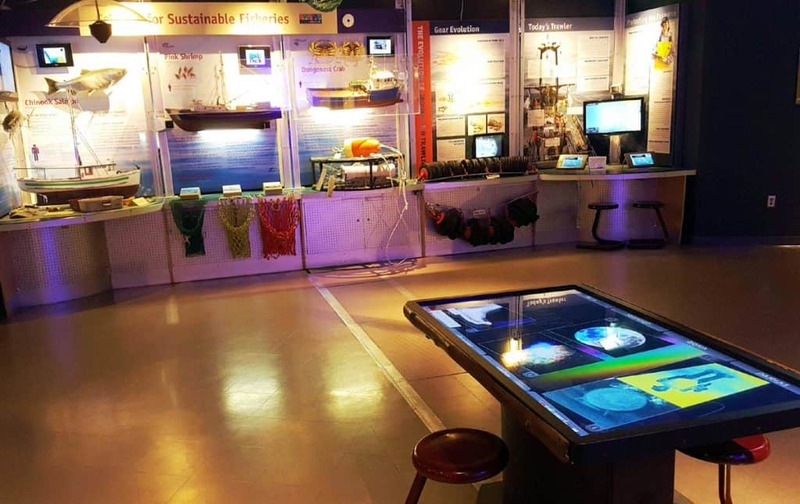 A fantastic science center where you can learn so much about the coast. 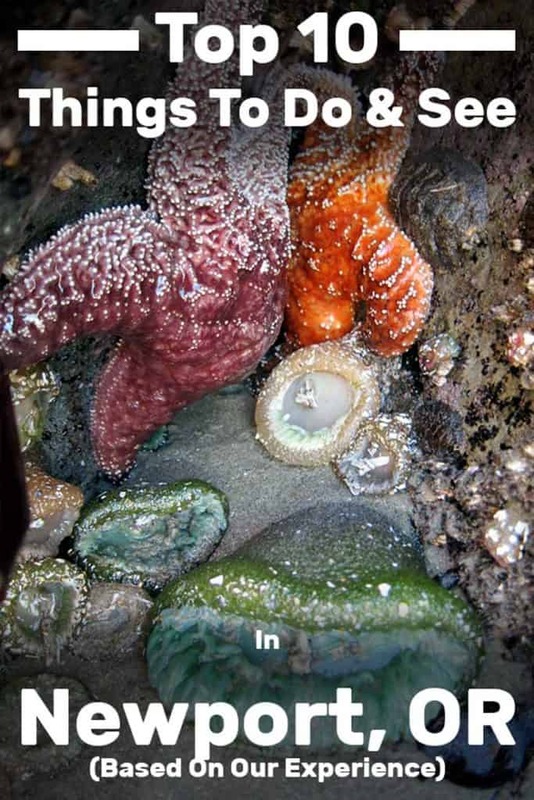 The visitors center isn’t huge but it’s extremely educational with so many exhibits, including live sea stars and other creatures you can see and touch. We also took their tour of the nearby estuary where we got to dig for mollusks (we didn’t catch any but it was still great fun!). Every now and again, they have a giant octopus on display (they release it back to the ocean when it gets too big). The place is operated by the Oregon State University so admission is free of charge, though they suggest a donation of $5 per person. Not a bad alternative to the aquarium, especially if you’re a science geek on a budget! Opens daily between Memorial Day and Labor Day 10:00 AM – 5:00 PM. If you’re arriving off-season, then between Labor Day to Memorial Day are the hours are 10:00 AM – 4:00 PM Thursday-Monday. Check out their website here. Most likely formed from the roof collapsing on a cave or two, the area is most popular due to the hollow rock formation shaped like a huge punch bowl. Winter storms cause the water to slam into a cave in the rocks, which in turn causes the water to churn, swirl, and foam as if it was a brew worthy of the devil. (Hence the name!) Although the punchbowl wasn’t very active when we visited, it was still a great place to stop and appreciate the scenery. This park is popular due to this interesting display of geology. It is also a scenic spot to take in the waves along the rocky shoreline. Tide pooling is supposed to be best along the north side of the punch bowl. In addition, many visitors during migration season are lucky enough to spot gray whales. The area is frequented by beach enthusiasts and surfers. Keep in mind the winter surf can be unforgiving so do not go in unless you are an experienced swimmer. 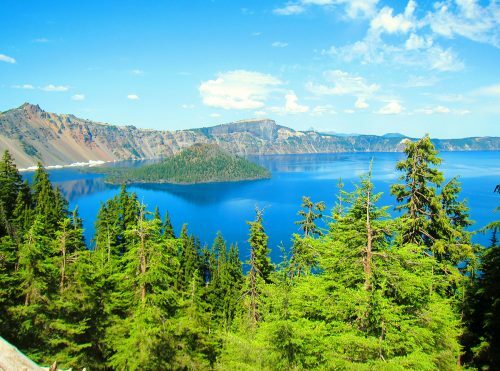 It is free to visit this natural marvel, and it is open for day use year-round. Visitors suggest checking the tide tables if you plan to venture onto the beach or into the water. Located on the top of a bluff at the mouth of the Yaquina River, this lighthouse was only in use from 1871 to 1874. It was restored and became a fully functional lighthouse again in 1996. Many people believe that this is the oldest surviving structure in all of Newport. 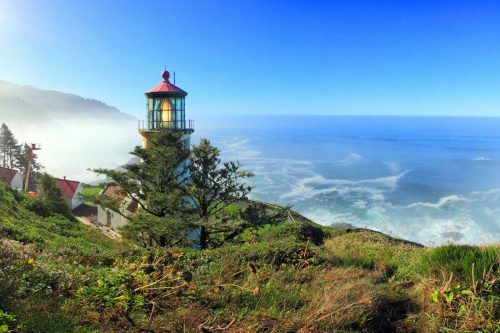 This lighthouse is also the only one in Oregon with the living quarters attached, making it worth visiting even if you have already seen many others. Visitors are able to tour the basement and the watch room, but the lantern room is not open to the public. While there is no price of admission, they do accept donations to help with the upkeep of the structure. It is open to the public every day except for holidays (Thanksgiving, Christmas, and New Year’s Day) but the times vary throughout the year. You can check their website for more detailed information. During our first stay in Newport, we stayed in an Airbnb near the lighthouse. Getting to the beach from the lighthouse area was easy and we’ve had some of our best tidepooling experience while there. I can highly recommend that, especially if you’re traveling with kids. By the way, if you’ve never booked an AirBnB before, use this link to sign up to get a nice discount on your first order. Home to Oregon’s largest commercial fishing fleet, the historic Bayfront district has long been the economic center of the city. Visitors are welcome to walk the docks and check out the catches made during the day. If you see something you like you can even purchase it straight off the boat! We loved loved loved this area. It doesn’t feel commercialized and still retains that small fishing town feel to it. 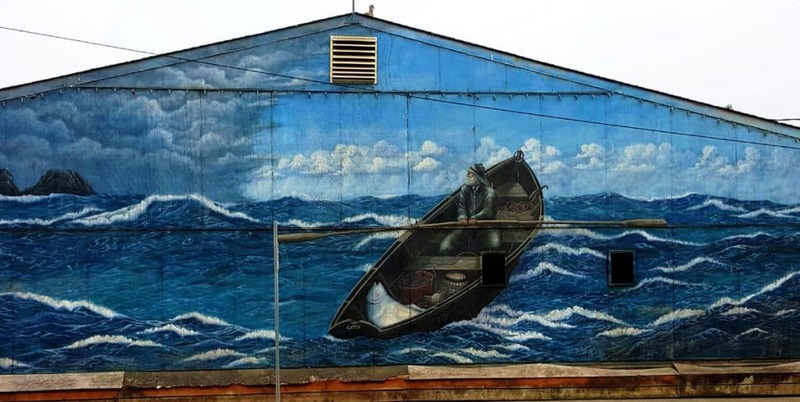 There are beautiful murals all over the area as well. This area has evolved into a hub of shopping, dining, and family attractions. Enjoy the many shops and galleries before (or after) your walk along the docks. Enjoy some saltwater taffy or fresh seafood at one of the many restaurants. Or come just to watch harbor seals and sea lions soak in the sun. In fact, this is a better spot for sea lion watching than pier 39 in San Francisco. 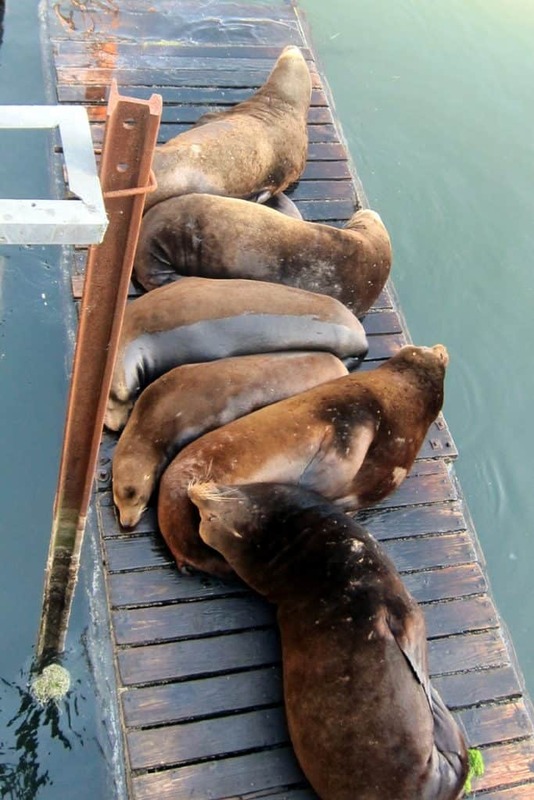 You get up and close to the sea lions in Newport because they occupy the decks right below the viewing platforms. The Bayfront is free to visit and open to the public 24 hours a day, 7 days a week. If you are hoping to see the boats come in at the end of their fishing expeditions, try to plan your visit for about an hour or so before sunset. You can watch the boats come in and then walk along the docks. At the heart of Newport’s art scene, this area has many different attractions to entertain you. Yes, there is beach access, but there is also a 12 block long and 2 blocks deep section of dining and shopping that add to what you can experience at Nye Beach. In addition, the merchant’s association puts on many events throughout the year that sound like something worth checking out! In March they have a mystery weekend, in July they have a clambake and seafood barbeque event, and in December they have a Christmas celebration. The beach is open year-round and public access is free. 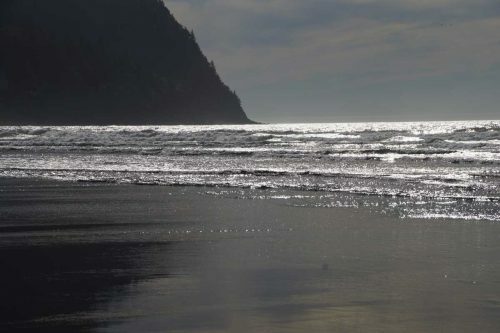 The businesses in the area set up their own hours and, like most places along the coast, the winter hours are reduced due to the weather and the smaller number of visitors. Way back in 1778, this location was named by Captain Cook because of the fierce weather and rough ocean conditions he encountered at the time. 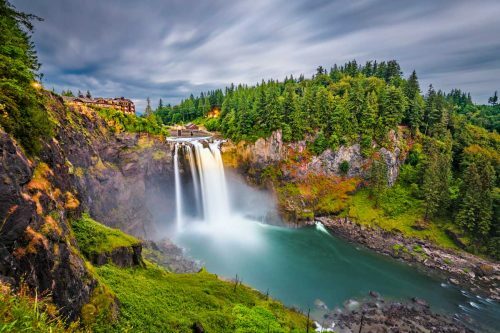 The name Foulweather does not make this seem like a destination that should be on this list, but it would be a shame for you to miss this picturesque spot! Yes, in the winter the storms cause the ocean to become a bit wild. The rest of the year the weather is usually gorgeous, and the views are picturesque. Its location 500 feet above the ocean gives visitors a chance to view bald eagles and gray whales and even a good view of the Devil’s Punchbowl (#3 on this list). Located within the Otter Crest State Scenic Viewpoint Park, there is also an indoor viewing and interpretation center called “The Lookout.” This was once a gift shop, and souvenirs can still be purchased, but now it is an indoor area you can escape to if the weather gets bad. The park is open year-round and is free to the public. The gift shop’s hours vary based on the season and you can check the website for when it is open and for detailed information about the area. 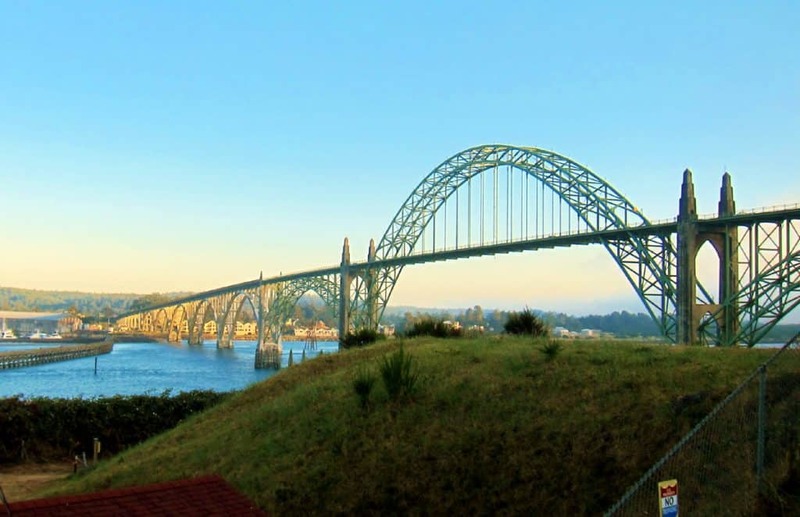 The most iconic and recognized bridge in the area, the Yaquina Bay Bridge was built in 1936 and designed by Conde McCullough. 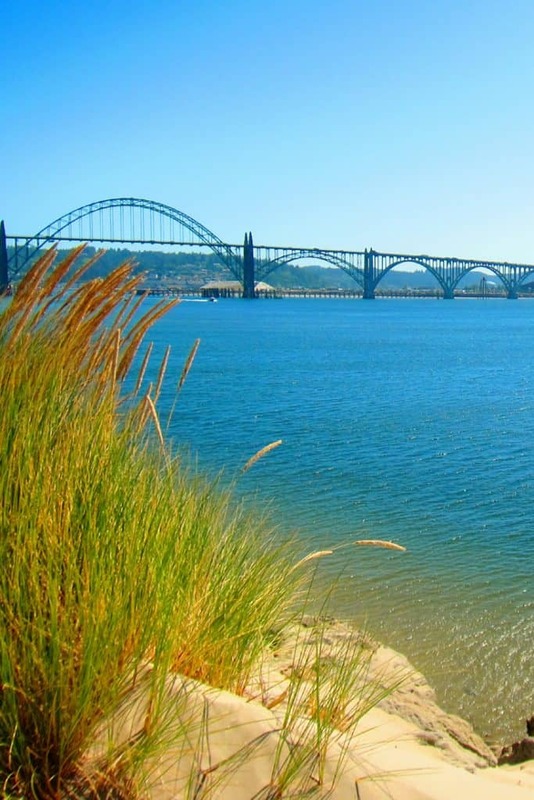 The bridge links South Beach to Newport and crosses the mouth of Yaquina Bay. 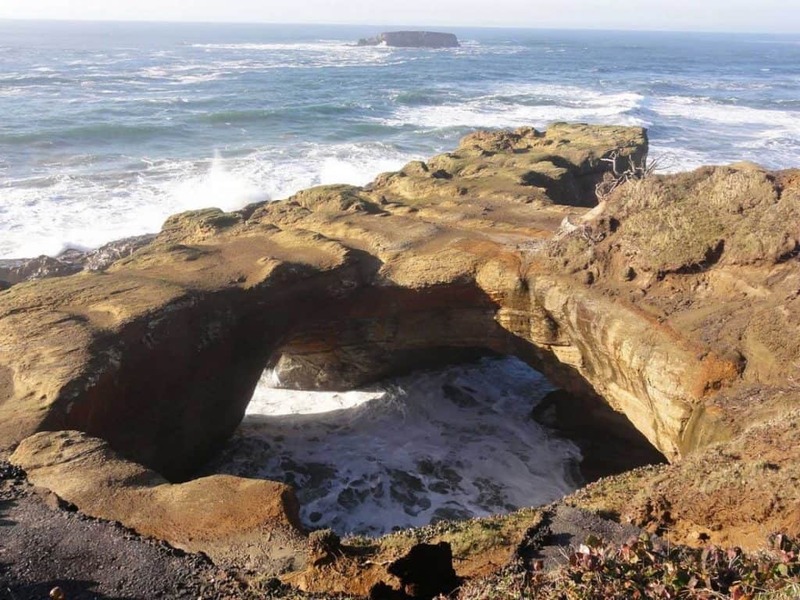 Many visitors claim this is the prettiest bridge on the Oregon Coast. 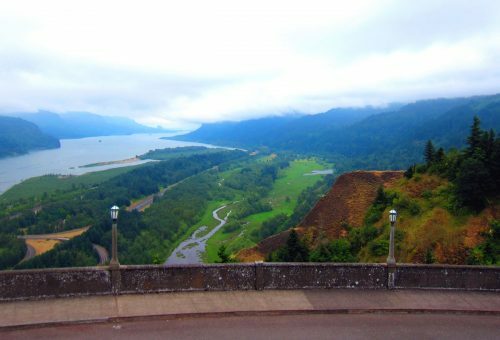 There are amazing views to the east and west when you drive over it, and if you stop and take in the sight of the bridge you will not regret it. You can view it from the bayfront, so the two items work well together. 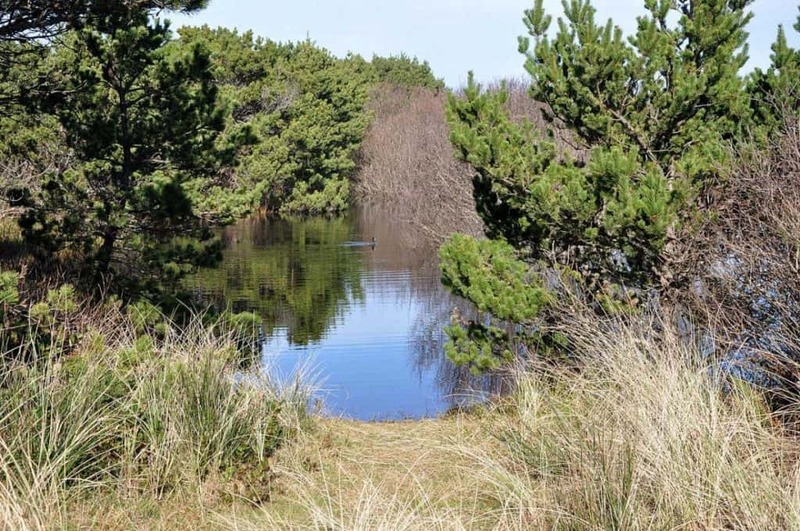 This park includes miles of the Oregon coast and a variety of recreation activities to fill your day while enjoying the beautiful scenery. 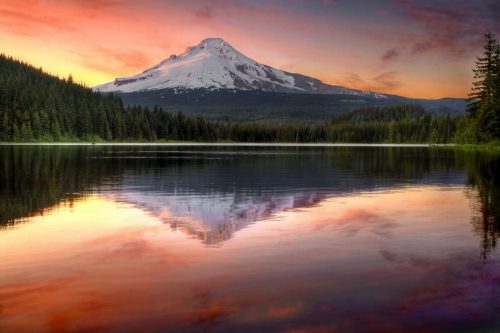 You can hike, bike, boat, or play the day away. There is a paved jetty trail which is perfect for a stroll or a bike ride. If you want to ride but didn’t bring a bike along (like most travelers!) then lucky for you the Hospitality Center rents bikes daily during the summer months. Oregon State Law requires anyone under the age of 16 to wear a helmet while biking. If you need a helmet the Hospitality Center also sells helmets. If you like to play games, there is a 9-hole disc golf course and horseshoe pits available for visitors. In addition, if you are traveling with children, they even have a playground area. You can check out discs or horse-shoes from the Hospitality Center for free. Are water activities more your speed? Well, they have kayak tours available to take from July through Labor-day weekend. This is a 2- to 3-hour trip through the freshwater marsh, beginning at the Beaver Creek Welcome Center. It is $20 per person and you can register online at this website. 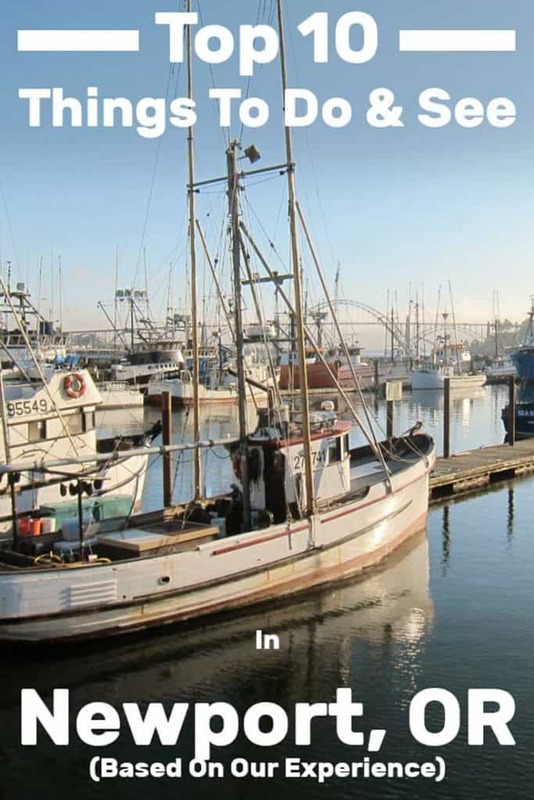 In addition to all of the above, you can also go fishing, crabbing, or surfing. Of course, you can always just enjoy soaking up the sun on the beach. There is no cost to enter the park, and it is open for day use year-round. For detailed information on park conditions or events available, you can go to their website. 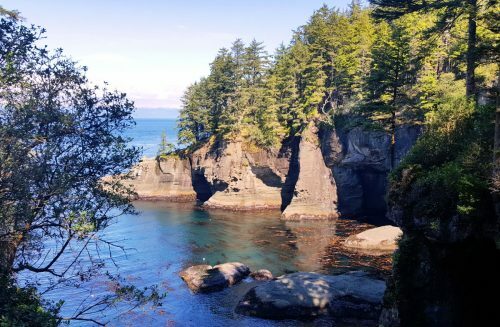 Depoe Bay isn’t technically in Newport but it’s a short 15-minute drive so I’m including this recommendation here. 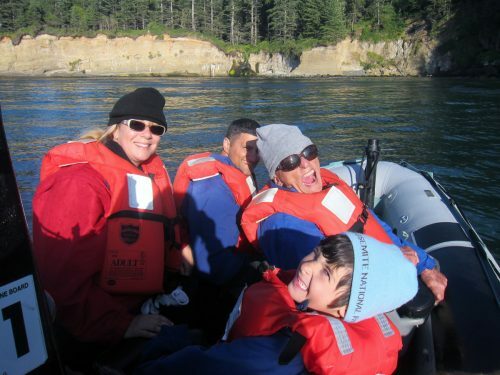 We took a whale watching trip with famous naturalist Dr. Carrie Newell and had a blast. Dr. Carrie took four of us in her zodiac, got us near two of “her” whales (she’s been researching them for decades and does know them personally) and to see some sea lions as well. 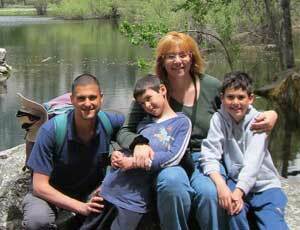 This is Dr. Carrie’s web page if you want to try out her tours. In terms of location, they work very well for anyone staying in Newport. If you’re visiting Newport during summertime, or on weekends, make your reservations in advance. I was glad we did that on our last visit which was in late July. I checked availability when we arrived and there were no affordable options left that afternoon. Fortunately, I had already reserved our rooms at The Money Saver Hotel. The place was clean and comfortable and the owners were friendly. The WiFi wasn’t too good but they may have fixed that since then (it’s been 5 years since that trip. The Whaler This hotel is economical and has a high rating from previous guests. It offers rooms with views of the Pacific Ocean, access to a heated indoor swimming pool, hot tub, and fitness center. Starfish Point This location is on the high-end of the scale but according to guests, it is worth every penny! It has private beach access, self-catering accommodations, a dog park, playground, and barbecue facilities. I hope you’ll find Newport as welcoming and fascinating to explore as we have. If you’ve already visited and have your own impressions to share, I’d love for you to do that by leaving a comment below.